Now that Playoffs have officially begun, Nike Basketball starts to roll out more colorways of Miami Heat Superstar LeBron James signature silhouette the LeBron 11. This time around Nike takes some inspiration from Florida’s Tropical Everglades, tricking the the LB11 silhouette out with a predominately black upper which plays the base for the colorful Everglades detailing on the Dynamic Flywire. To top it off, the LB11 Everglades also feature the signature Icey blue soles. 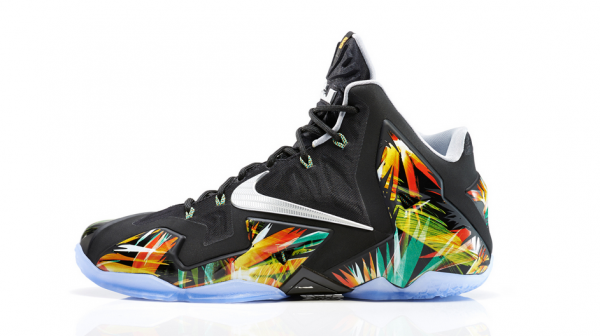 The Nike LeBron 11 “Everglades” will be available over at the Nike Basketball online shop May 17th.